Performing proper water heater maintenance is important in ensuring it lasts longer and serves you well. This maintenance should be performed periodically so that the maximum performance can be achieved. You can decide to perform the maintenance of your water heater on your own especially if it is a residential purpose or you can hire the services of a commercial plumbing engineer especially if your water heater is a commercial purposed. 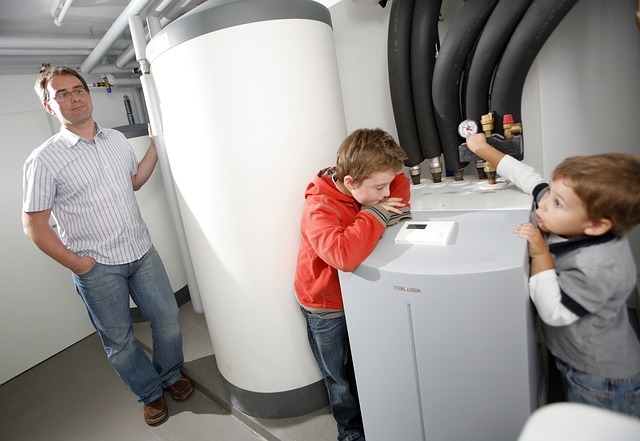 Commercial water heaters are mainly found in the businesses and also in offices. If you do not perform the proper maintenance on your water heater, it can result in a huge loss or even affect business progress by causing costly business downtime. It is therefore essential to ensure that you perform maintenance occasionally. These maintenances include minor repairs to the water heater that can be done by a professional plumber and the cleaning of the sediments in the water heater to improve its performance. In this article, we will look at how to clean your water heater by removing all the sediments that might have formed in the tank. When you are cleaning a commercial water heater, you need to remove the sediments. Sediments are mainly the common plumbing issues in this case. It requires that the cleaning is done instantly, on realizing that there has been a formation of sediments. If you ignore the cleaning, it will mean that there could be bursting with tanks which can result in flooding. If you realize that you have a faulty water heater, then you need to consult a qualified plumber to assist. However, if you choose to repair it yourself, then the following tips will be of great help to you. It is recommended that if you are working on the maintenance yourself, you should take the precaution and contact the plumber if there is a complication. Do not take chances especially if it is something that you cannot handle. Always look for someone qualified for the job so that you get quality services. The main reasons you should consider cleaning all the sediments is that their formation results in a poor efficiency of your tank. It means therefore that if you clear the sediments there will be improved efficiency. When the sediments have formed, drainage in the tank becomes impossible. Sediments obstruct passage of water. Make sure you switch off the gas. Electricity too should be off and then make sure that you drain the water tank using the re-circulating pump. To empty water from the tank, make sure that you break all the sediments blocking the drain valve so that you open up the tube so that the water can easily pass through it. When you are breaking the sediments ensure that you do it gently so that you do not end up making losses by breaking the valve. You should consider hiring a commercial plumber since they have the necessary gears and that can dissolve these blockages without having to harm the system continuously. You can end up saving on possible losses if you hire a qualified plumber to do the cleaning for you. Once you have drained the tank, you need to do some other maintenance check. Once the tanker the tank is empty from water, remove the side port, make sure it is vacuumed from the inside part and then clean it at the opening. You can also check the gasket for any damage and perform the necessary maintenance to it. If in any case, it is faulty, replace the faulty part of it so that you can prevent possible leakage. Then, make sure you tightly install the gasket to recreate a seal that will prevent leakage. 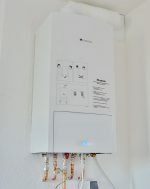 In electric water heaters, it is advisable to examine the system for rusting which can stop the workings of the heater. Once you spot rusting in the system, make sure you call your plumber in to do the proper repair. Only clean the water heater if you know about cleaning it. If you have any doubts, do not do it yourself. It is wise to pay a commercial plumber for the cleaning than having to incur losses due to damages that you could have prevented.